It is no secret that America's going through troubling times right now. In fact, the topic of American politics remains hotly debated since Donald Trump settled in office. The ensuing conversation surrounding the American president's antics constantly finds way to the top of the news. And with Trump in the White House (and on Twitter), the public opinion continues to echo loudly across social media platforms to either support or condemn his acts. Though a touchy subject, freedom of speech fortunately allows all to both share and be entitled to their opinions. 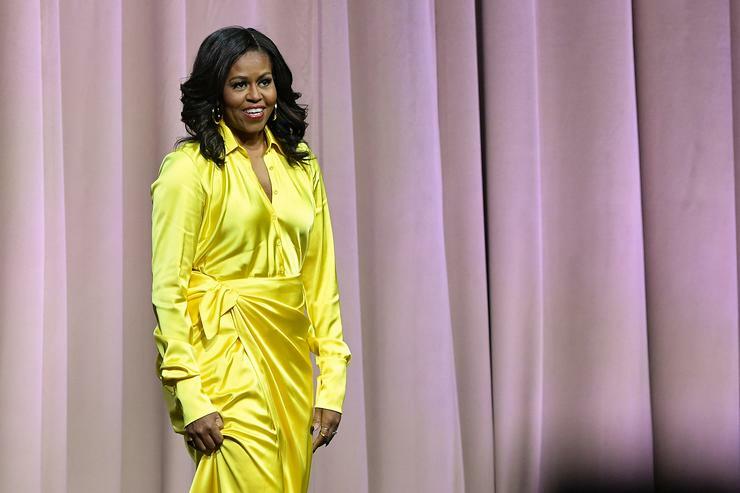 As such, former first lady, the beloved Michelle Obama felt confident to speak on Trump's America during a press tour stop for her New York best-selling memoir Becoming. Sadly, things went left for the Harvard-educated author when she experienced a good old case of foot-in-the-mouth syndrome. During a chat with political commentator and television show host Stephen Colbert, Ms. Obama attempted to convey an explanation via metaphor to America's issues with their current president. She must have ran out of ideas because she used divorced dads to prove her point. More specifically, the verbal mishap unravelled when Michelle related America's issues as similar to spending the weekend with a divorced dad. Though we're all susceptible to nervousness and poorly thought out rhetoric, many divorced dads and affiliates did not respond well to the metaphor. While others jumped at the opportunity to let Michelle Obama have it.